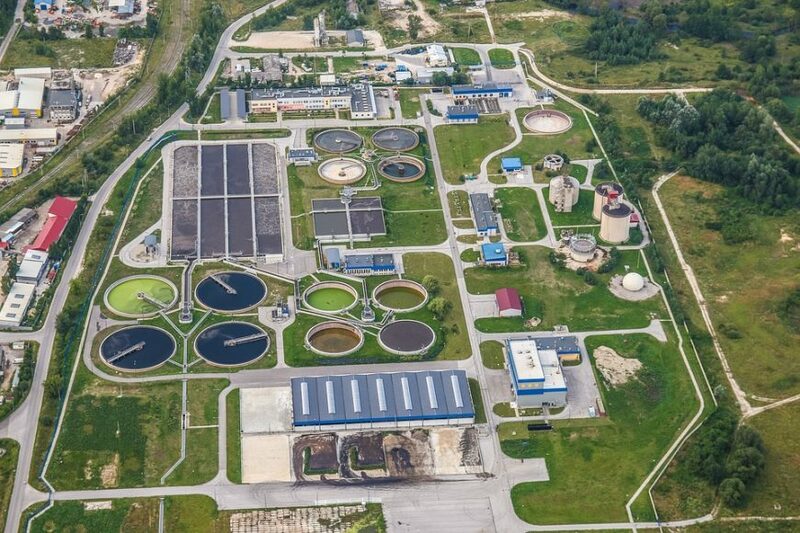 With increasing pressure on natural resources and the need for clean water and sustainable and energy efficient technologies, wastewater treatment plants are pushed towards integration of resource and energy recovery. The most commonly used approach is the addition of anaerobic digestion of waste organic matter. Operation of anaerobic digesters at thermophilic temperatures results in increased biogas production, which can be used to generate heat and electricity onsite. The downside of this process is the generation of reject water produced during dewatering of anaerobically digested sludge. Reject water is characterized by a very high concentration of ammonium-nitrogen (NH4+-N) (up to 2,000 mg/L), which is released from the cells during the degradation of organic matter. In many wastewater treatment facilities, reject water is recirculated back to the head of the plant without any prior treatment. When recirculated back to the mainstream process, it adds up to 15-30% of the NH4+-N load to the influent, which can inhibit nitrification, increase aeration requirements, and negatively affect the overall nitrogen removal efficiency. Separate treatment of reject water represents a better alternative. It reduces the N return load, mediates load variations, and increases the mainstream N removal efficiency, which can help the plant to comply with environmental regulations aimed at reducing eutrophication. In addition, it decreases power and chemical consumption. The use of dedicated reactors that are optimized for treatment of low flows, high temperature, and high NH4+ concentrations can significantly improve the efficiency of reject water treatment. Biological nitrogen removal (BNR) processes, such as nitrification/denitrification, are typically used in wastewater treatment. Conventional nitrification/denitrification involves oxidation of ammonium (NH4+) to nitrate (NO3–) via nitrite (NO2–) formation and reduction of NO3– to nitrogen gas (N2). The addition of oxygen and readily biodegradable organic matter in sequential aerobic and anoxic stages is usually required for this process, resulting in high operational costs. An alternative BNR process, shortcut nitrogen removal, where NH4+ is oxidized to NO2– (nitrification) and subsequently reduced to N2 (denitrification), offers several advantages. The process requires 25% less aeration, 40% less carbon source and generates 40% less sludge. Algae have also been used in wastewater treatment. Algae can remove nitrogen using either direct nitrogen assimilation or by producing oxygen in the presence of light which is consumed by nitrifying microorganisms. The symbiosis of algae and bacteria can bring certain economic benefits and make conventional BNR process more economical and less energy intensive. Until recently, the main focus of this research was on the use of algae and bacteria in the nitrification process. In prior studies in our lab, Wang et al. (2015) were the first ones to develop a novel technology that combines algal-bacterial consortia with shortcut nitrogen removal. Using an algal-bacterial photo-sequencing batch reactor (PSBR) with alternating light and dark cycles and addition of an external organic carbon source, Wang et al. (2015) achieved 95% NH4+ removal from anaerobically digested swine manure concentrate. In the PSBR, oxygen produced by algae via photosynthesis during the light cycle promoted nitrification, whereas, during the dark cycle oxygen was quickly consumed by microorganisms, which stimulated denitrification (Figure 1). The suppression of nitrite-oxidizing microorganisms responsible for nitrate production was done using high concentrations of ammonium and nitrite and low concentrations of dissolved oxygen. It was estimated that algal photosynthesis supplied 74% of oxygen to the system, whereas the remaining 26% came from mechanical aeration. This shows that the proposed PSBR can offer significant energy and cost savings over the conventional BNR process. In a follow-up study carried out by Arashiro et al. (2017), a first attempt was made to understand the dominant factors that govern this new process, such as solids retention time (SRT), as well as to develop a mathematical model describing how the concentration of solids in the PSBR affects light availability and relate to it oxygen production and nitrogen removal. The International Water Association Activated Sludge Model No. 3, modified to include algal processes, provided a good fit to the experimental data. Arashiro et al. (2017) reported a very similar total inorganic N removal efficiency of 95% and 94% in PSBRs operated with SRTs of 7 and 11 days, respectively. At the same time, they observed a decrease in light intensity due to a higher solids concentration and cell self-shading in a PSBR with a higher SRT, which resulted in a corresponding decrease in oxygen availability for nitrifying bacteria. Our current research is looking further into the effect of SRT on the performance of PSBR in terms of nitrogen removal as well as changes in the composition of microbial communities at various SRTs. Despite the benefits of PSBR with shortcut nitrogen removal, the addition of an organic carbon source is still required for denitrification. In order to reduce the costs associated with chemical addition, Manser et al. (2016) developed a new concept termed ALGAMMOX. ALGAMMOX or algal anaerobic ammonium oxidation combines in one PSBR microalgae, ammonia oxidizing bacteria and anammox granules (Figure 2). Anammox oxidize ammonium in the presence of nitrite to nitrogen gas under anoxic conditions. Being autotrophic microorganisms, they do not require organic carbon for their metabolism. Based on the preliminary results, ALGAMMOX showed a lot of promise in achieving complete nitrogen removal from high ammonia strength wastewaters without the need for mechanical aeration or organic carbon addition. The problem with the treatment of highly-concentrated waste streams is that the presence of high free ammonia concentrations has an inhibitory effect on algae. Previously, this issue was resolved by diluting the concentrate with fresh water or by using a fed-batch reactor approach. One of the possible strategies for treating high ammonia strength wastewaters was suggested by Wang et al. (2018) who proposed a novel hybrid algal photosynthesis and ion exchange (HAPIX) process. During this process, ammonium is temporarily adsorbed by an ion exchange material zeolite, represented by chabazite, which will reduce the concentration of free ammonia in the liquid to below inhibitory level. The subsequent desorption of ammonium from zeolite will support the growth of algae (Figure 3). The results of the experiments demonstrated that the proposed HAPIX process was capable of reducing the toxicity of free ammonia by adsorbing most of the ammonium present in the concentrate. In addition, various dosages of zeolite were shown to have an effect on the production of protein and starch in the algal biomass, which can be harvested for use as an animal feed or for polymer production. Drs. Ergas and Wang filed a patent (17A090PRC_Ergas, pending) for the HAPIX process in 2018. Our current research continues to use ion exchange material to treat high ammonia strength wastewater by incorporating it with algal-bacterial biomass and anammox granules to reduce both mechanical aeration and the need for the addition of organic carbon. The new proposed process is termed ALGAMMIX (algal anaerobic ammonium oxidation with ion exchange). These findings are described in the article entitled Hybrid algal photosynthesis and ion exchange (HAPIX) process for high ammonium strength wastewater treatment, recently published in the journal Water Research. 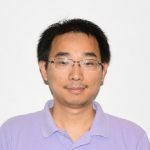 This work was conducted by Meng Wang, Karl A. Payne, and Sarina J. Ergas from the University of South Florida, and Shuang Tong from the University of South Florida, China University of Geoscience, and the Beijing Key Laboratory of Meat Processing Technology. This material is based upon work supported by the National Science Foundation under Grant Nos. 1243510 and 1511439. Any opinions, findings, and conclusions or recommendations expressed in this material are those of the authors and do not necessarily reflect the views of the National Science Foundation. Arashiro, L.T., Rada-Ariza, A.M., Wang, M., van der Steen, P. & Ergas, S.J. (2017). Modelling shortcut nitrogen removal from wastewater using an algal-bacterial consortium. Water Science and Technology, 75 (4), pp. 782-792. Manser, N.D., Wang, M., Ergas, S.J., Mihelcic, J.R., Mulder, A., van de Vossenberg, J., van Lier, J.B. & van der Steen, P. Biological nitrogen removal in a photosequencing batch reactor with an algal-nitrifying bacterial consortium and anammox granules. Wang, M., Payne, K., Tong, S. & Ergas, S.J. (2018). 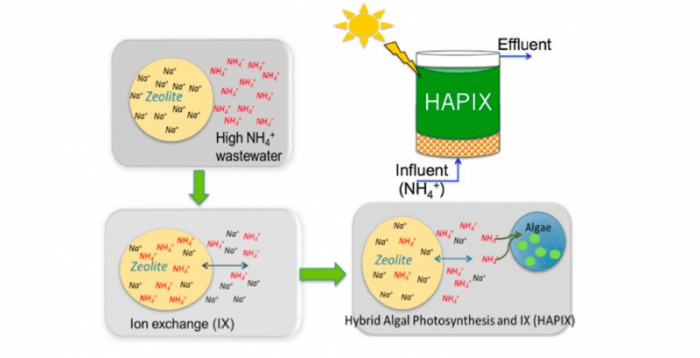 Hybrid algal photosynthesis and ion exchange (HAPIX) process for high ammonium strength wastewater treatment. Water Research, 142, pp. 65-74. Wang, M., Yang, H., Ergas, S.J. and van der Steen, P. (2015). A novel shortcut nitrogen removal process using an algal-bacterial consortium in a photo-sequencing batch reactor (PSBR). Water Research, 87, pp. 38-48. My professional career has always been related to the environmental sector. My over 5-year professional experience covers environmental management, environmental legislation, waste management, education, climate change, scientific research. I have worked in various capacities, from Environmental Specialist to Environmental Education Manager. I specialize mainly in wastewater treatment, waste management and environmental management systems. I like to be constantly challenged. During my work I was often given different “out-of-the-box” assignments. They included work on a proposal for a corporate climate change policy, analysis of the outcomes of UN Climate Conferences and their implications for the metallurgical sector, analysis of European BAT for the purpose of their adoption for the Russian metallurgical sector, development of a methodology for the European water sector, preparation of legislative analysis. Meng is a research scientist at South Florida University. 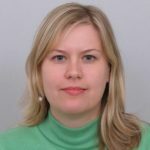 Dr. Sarina Ergas joined the faculty of Civil & Environmental Engineering at USF in the fall of 2009 after fifteen years at the University of Massachusetts, Amherst. Dr. Ergas received a BS in Environmental Engineering from Humboldt State University and M.S. and PhD degrees in Civil & Environmental Engineering from the University of California, Davis. Dr. Ergas’ research focuses on biological treatment processes, including biological air pollution control, membrane bioreactors, nutrient removal and bioremediation processes. Recent projects include a study of bioremediation of a perchlorate contaminated aquifer using Sulfur Utilizing Perchlorate Reducing Bacteria (SUPeRB), natural attenuation of acid mine drainage (AMD) sites by sulfate and Fe(III) reducing bacteria, investigations of nutrient removal from stormwater runoff using denitrifying bioretention systems, and the use of algae for nutrient removal, CO2 sequestration and biofuel production. Dr. Ergas has collaborated on research with faculty at the National Autonomous University of Mexico, the University of Manchester and the Technion Israel Institute of Technology. She has taught Environmental Biological Processes, Water & Wastewater Systems, Air Quality, and Systems Analysis, among other courses. Dr. Ergas was an ASCE ExCEEd (Excellence in Civil Engineering Education) Fellow in 2005 and a Fulbright Fellow at the Technion Israel Institute of Technology in 2007-08.